I shared some things I have learned since living up north earlier today, and making homemade soup last for days should have definitely been included! 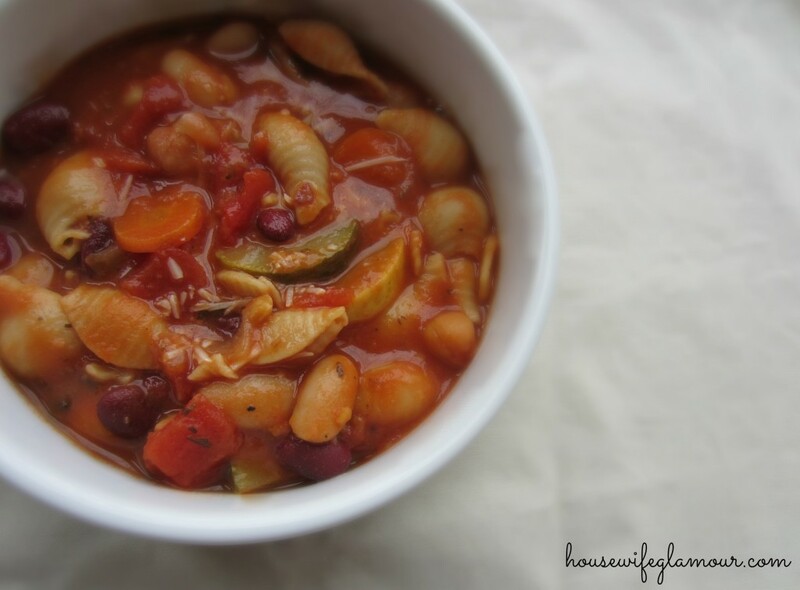 Soup has been such a lifesaver during the past freezing months. When I am craving comfort food (which seems to be all the time when it’s cold out), I turn to soup and when I create a new recipe, I purposely make enough servings to last Scott and I a few days. Lucky for me, neither one of us gets sick of eating something if it’s good enough! I hate writing this, but I have to preface this recipe by telling you it is one hundred percent the best recipe I have ever made. Really. As some of you know, Scott often helps out with the seasonings and spices of things, but I came up with this one completely on my own by tweaking several other ones already out there. 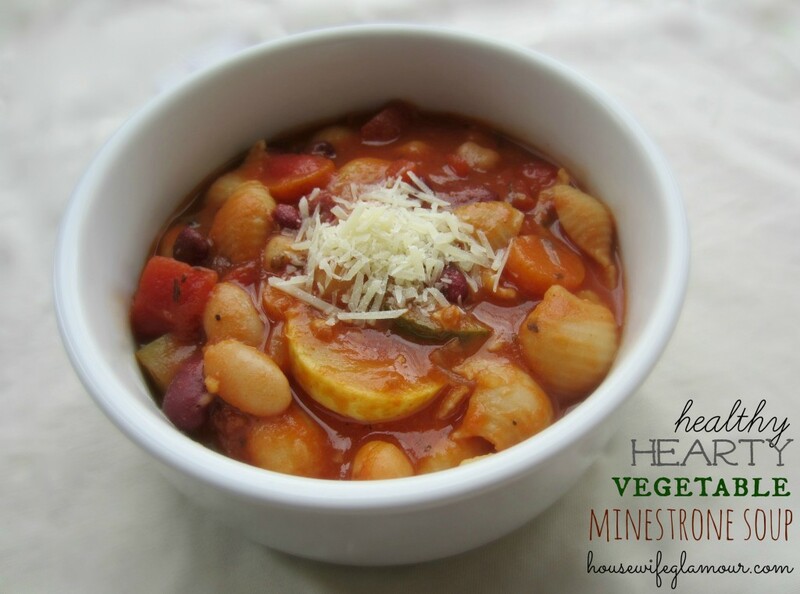 Vegetable minestrone is my absolute favorite and I am happy to report that this one is also very healthy! 2. Add diced tomatoes, basil, oregano, salt, and pepper. Add vegetable broth and stir well. 3. Bring to a boil, then reduce heat to low. Cover and simmer for 50 minutes, stirring occasionally. 4. Add the rest of your veggies. Cover and simmer for 15 minutes. 5. Add noodles and beans, then cook another 15 minutes. If you want to add a protein punch, I’m sure Italian or spicy chicken sausage would taste great. 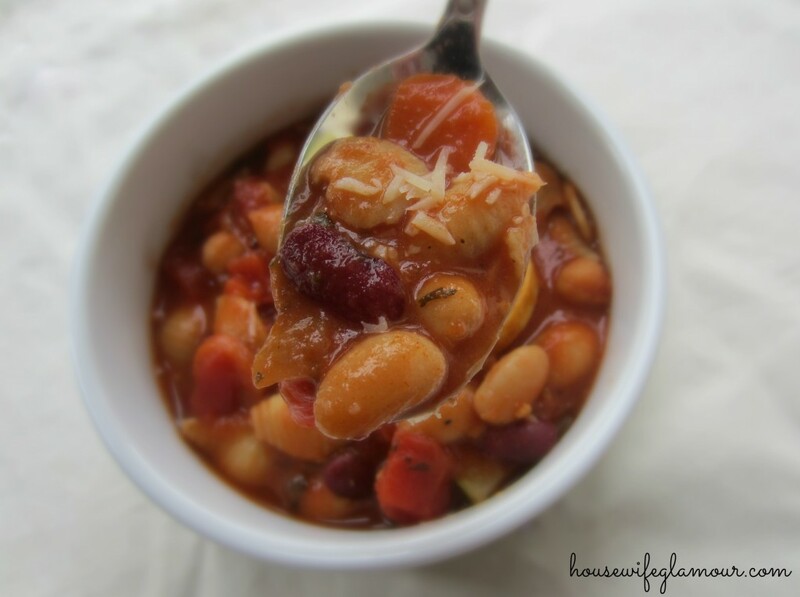 I named it hearty minestrone soup, however, because it packs plenty of substance with all of the beans! This batch was enough for Scott and I to enjoy for a few days, but if you don’t know what to do with the leftovers, freeze them. I always look forward to defrosting a pre-made soup on days where I don’t feel like cooking. 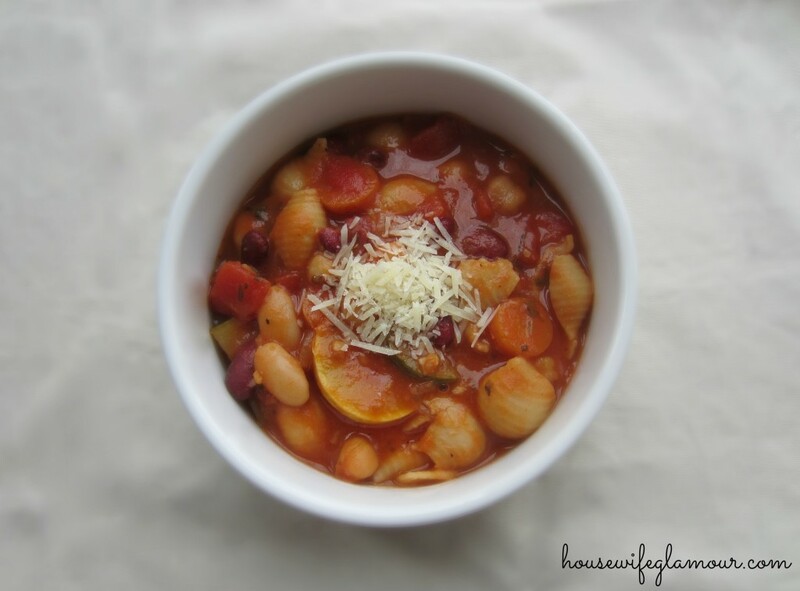 Serve on it’s own, topped with Parmesan cheese, and/or with soup crackers and enjoy! Mmmm this looks so yummy and so necessary for this insane winter! I totally loved you up north post! Most of the schools I applied to for college next year are in the South so I am hoping to get out of Jersey and have a little less winter weather! I bet that would be good! Ah jealous! Glad you got to enjoy some too! I love soup all the time! Dinner tonight? Kielbasa Lentil Soup courtesy of Real Simple. Yummy. Maybe it’s time to eat? I am not a big soup fan, but this sounds good! I could probably eat soup every day! Glad I’m not alone here.